Happy new year and welcome to 2019! We are very pleased to welcome Dr Harrison Ochieng Kojwang as the new FSC Regional Director for Africa. He started on 4 January 2019. Harrison is a Kenyan Citizen and has a background in forestry, environment and natural resource management. He studied forestry at the Universities of Nairobi, Helsinki and British Columbia. After graduating from the University of British Columbia in 1989, he had a 5-year stint as an academic at Moi University in Kenya. Thereafter he was appointed as Director of Forestry in Namibia where he worked for 7 years, before joining WWF as its Representative in Southern Africa from 2001 to 2009. Since 2009, he has been a private consultant in forestry, and environment, and has worked for several governments, regional economic communities in both East and Southern Africa, and in addition, for a number of international organizations, notably, the United Nations and the World Bank. As an active member of the African Forest Forum (AFF), Harrison has been actively engaged in regional and global discourses on forestry, particularly the promotion of Sustainable Forest Management in sub-Saharan Africa and on matters pertaining to ‘reduced emissions from deforestation and forest degradation' (REDD). 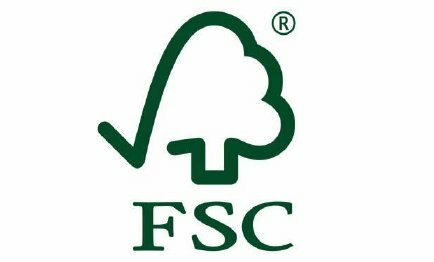 Our Interim Director for Africa, Steve Ball, will stay with the FSC Africa team, with the exact allocation of responsibilities between Harrison and Steve being worked out at present. Also, after five years of excellent service, our Congo Basin Director, Mathieu Auger-Schwartzenberg will be leaving FSC at the end of January 2019. We will miss him greatly. We have put in place temporary arrangements whilst we complete recruitment for a new Coordinator for the Congo Basin. We will update you on this and other recruitments in the next few weeks.